well, looking good. think i am gonna get it. (know i am gonna get it, being a Stones addict). Is there a Japan import with more Audio tracks? But you can get all in one + T-shirt if you'll order Limited Super Deluxe edition from the link above (19440 JPY ~ 145 EUR or 170 USD). 3LP-Color: [RollingStones.Bravado.de] + 1 DVD: [RollingStones.Bravado.de] . 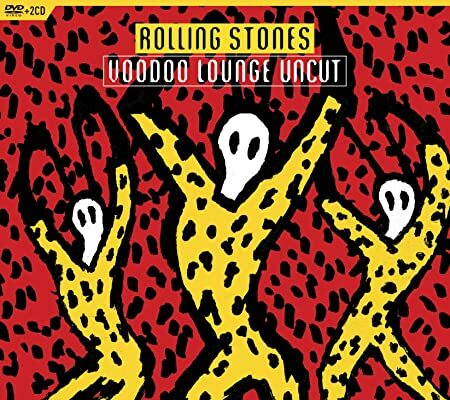 Release is called Voodoo-Lounge-Uncut and what they dropped from the tracklist is the first and best known Single from the Album. Love is strong was played in NJ. I remember recording the pay per view of this Miami show to VHS. Years later I dubbed the audio to CDR. I just checked and Love is Strong was not performed at Joe Robbie on 11/25/94. Probably because of the guests and songs that were chosen to best Highlight the Stones and there guests . You have to admit the Stones in the 90's were on fire and smoking hot as far as there chops go . Great Tour and stage design and great performances . I am really looking forward to this release. Fun times ! I wish I could turn the clock back ! I was talking about New Jersey, were they plaed it but chose not to add it as a bonus. From Las Vegas on they dropped Love is strong for Sympathy in the setlist. From Las Vegas on they dropped Love is strong for Sympathy in the setlist. Could swear I heard them both at the Rose Bowl in October, but it was a long time ago. You did, Sympathy was brought in to the setlist (position nineteen, then after that position twenty) at the second Vegas show and Love is strong was just moved to position eleven (sometimes ten) until Melbourne 3.27.1995 - it was only played twice more after that - Landgraf and London 1995. It's Miami that is uncut. The rest is a bonus..
And here I thought Miami was kosher. This PPV obviously wasn't taken to a Mohel. Lucky to have seen my first VL show in Indianapolis early in the tour, and heard Can't Get Next to You for the first time ever that night... It blew me away! An official version of that track would make it for me! I was always annoyed by the heavy cuts on the original film. Edited 1 time(s). Last edit at 2018-09-26 00:20 by EddieByword. Here it says 3LP and 2 CD. Means DVD plus Bonus CD? EDIT: They changed it to 3LP. Edited 2 time(s). Last edit at 2018-09-27 10:23 by schwonek. So the 5 bonus tracks will be DVD only? Edited 1 time(s). Last edit at 2018-09-26 00:43 by schwonek. no, my mistake, my memory was fooling me. I meant the early part of the tour. I was always frustrated, that I saw the first 3 shows and left the USA right before the Indy show and nobody taped this show. I looked forward to the “new” Voodoo songs when they played them in '94. That tour, the band/stage design crew put a good effort into the production values on those new songs. Whether it was flashing “Internet” lights during Sparks, or screen graphics, it made it interesting to the casual fan as well. Great List….it would have been fantastic to have the DC show be the ‘bonus’ so the New Jersey show, only sold on VHS, could be released in it’s entirety unedited!! As you know, the beginning of a tour, including some stage props, Voodoo Men, Choreography/Costumes originally during Love is Strong changed to Sympathy, song arrangements and song choices ALWAYS changes from the first week of the tour to the end of the tour. Glad to get this release but it does seem strange not to get the hit single "Love is Strong." 100% agree. I love the 90's Stones and am pumped about these releases, but I can't believe there is no "Love Is Strong" on this release. I loved how they played it live. Not for nothing, but if you are going to keep releasing old concerts, have the new songs in there! Not just different versions of the same songs in different years! Again, I'm thrilled to get all these old concerts on Blu Ray, so I don't want to complain, but man I love Love Is Strong!!! !